conveniently located near Interstate 5 near the corner of Grand Avenue and Lamont Street. Libs Chiropractic Center is a two-story peach-colored building on the left side of the street. There is parking behind the Center and also on the street. 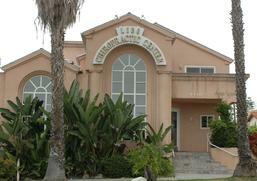 Libs Chiropractic Center is a two-story peach-colored building on the right side of the street.